Christmas shopping is in full swing and we bet you’re spending lots of time searching for the right presents for all the loved ones in your life. This year while you’re out and about, we’d love it if you could pick up a gift or two for our Toys for Tots toy drive. 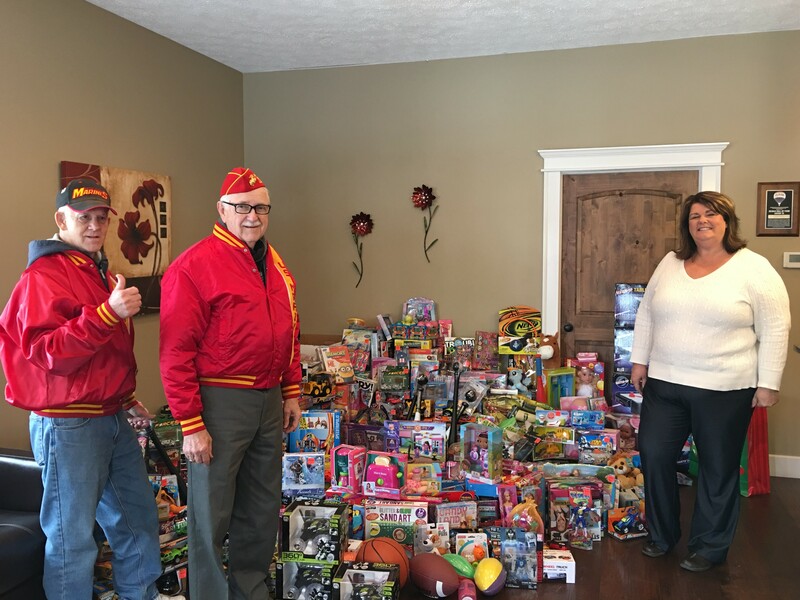 Our RE/MAX Legacy office is an official drop-off site for the Marine Toys for Tots Foundation and we’re hoping to fill up our lobby with unwrapped, new toys for kids of all ages. Last year we collected over 500 toys and, with your help, we’re hoping to bring in 525 items this year! Check out 2016’s mountain of gifts—WOW! Please consider donating this November or December. You have until December 8 to stop by our office with your new, unwrapped toy. We’re located at 6692 S. State Road 67 in Pendleton. Our entire RE/MAX Legacy team sincerely appreciates all the donations and we’re grateful every year for our community’s heartfelt generosity.